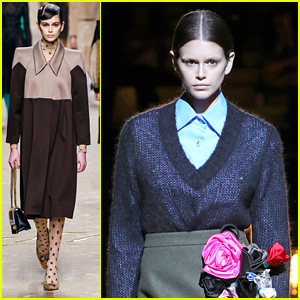 Kaia Gerber Hits the Runway for Chloe’s Fashion Show! 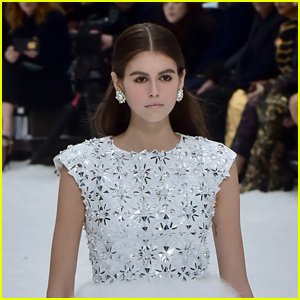 | Kaia Gerber | Just Jared Jr.
Kaia Gerber struts her way down the Chloe runway during Paris Fashion Show on Thursday (February 28) in Paris, France. The 17-year-old model went ’70s glam in a tan leather coat over a blue dress and wide-brimmed glasses for her trip down the runway. Earlier in the day, Kaia was spotted wearing an oversized, gray blazer and sunglasses as she stepped out to do some shopping. The day before, Kaia donned a white and navy coat as she walked in the Lanvin fashion show.